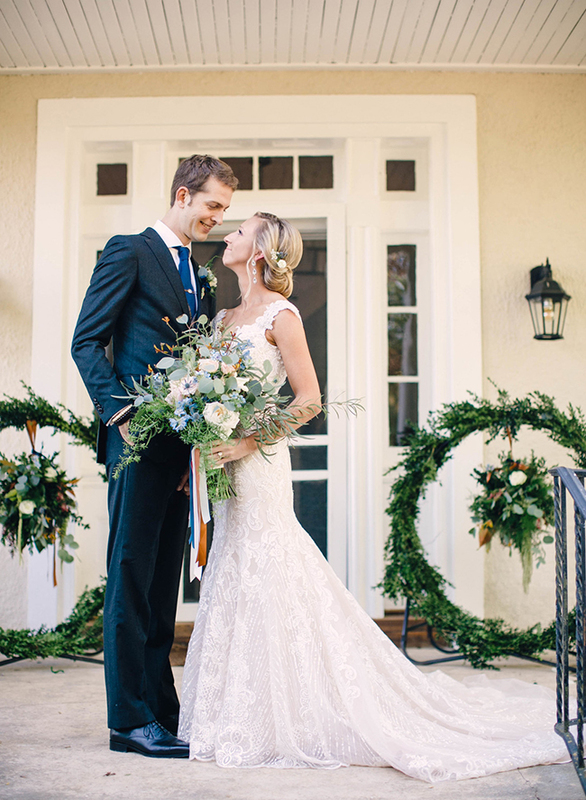 Fall on the East Coast is much more of a true “fall” than what we experience here in Southern California, and as their leaves change, we look on in wonder. 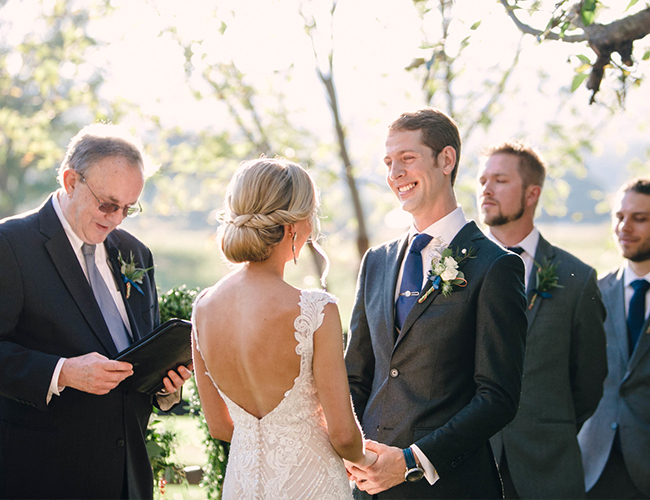 Which is the exact same feeling we have when we scroll through this wedding! 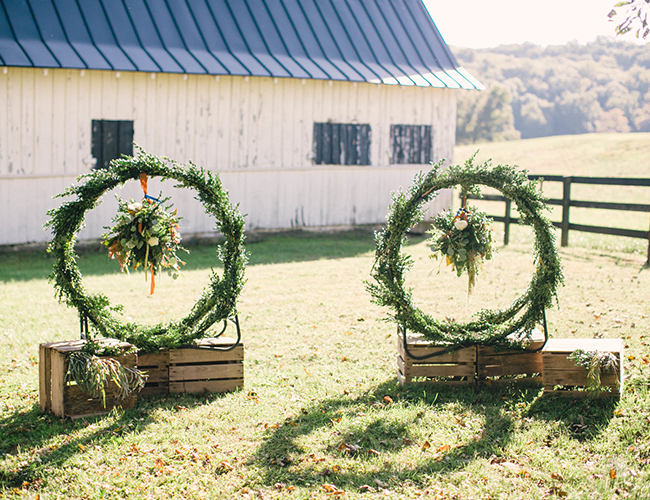 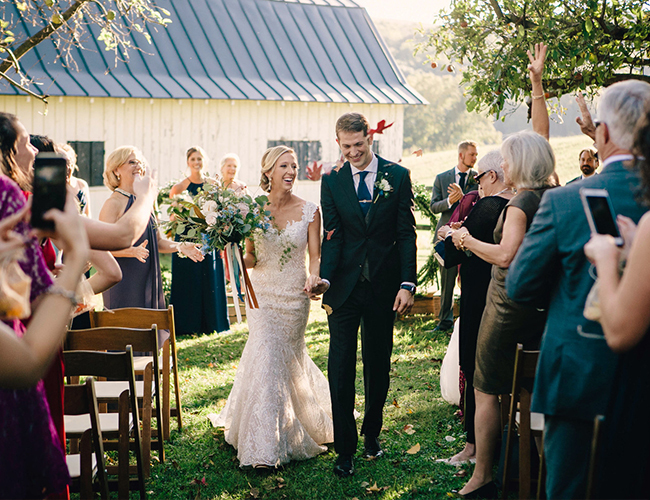 Full of foliage, this Autumn wedding on a Virginia farm captures the season’s essence beautifully. 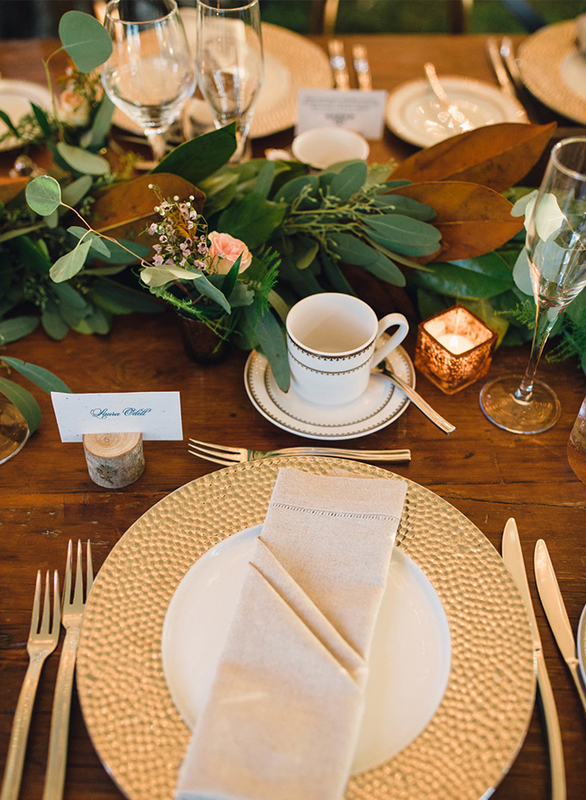 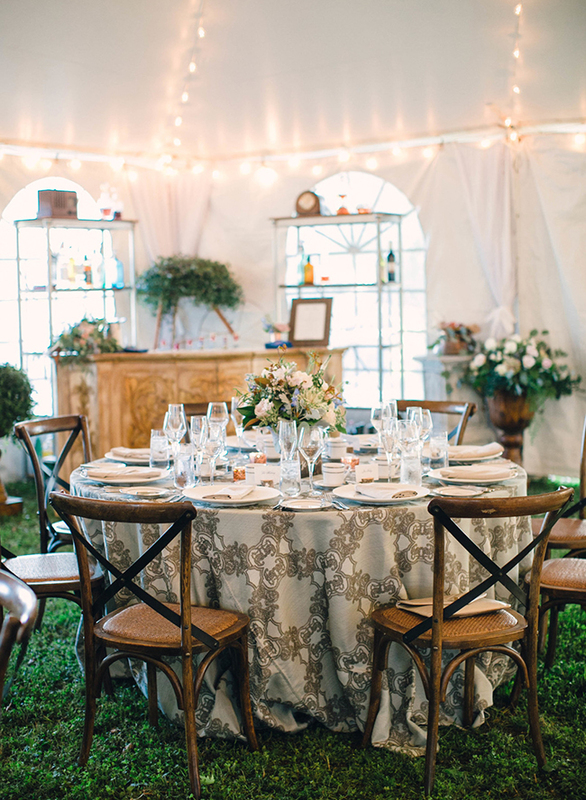 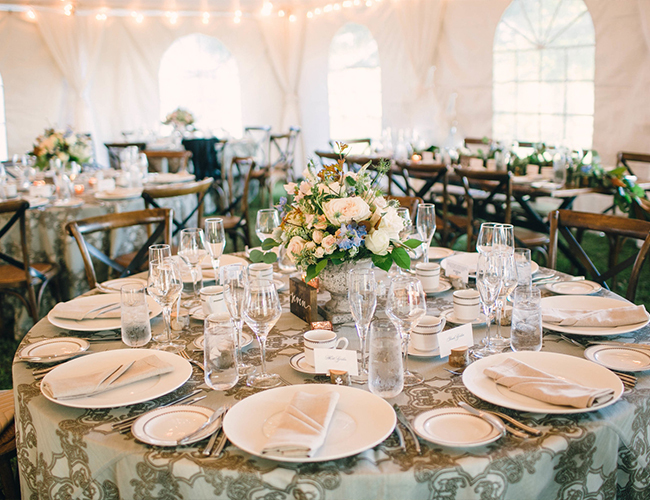 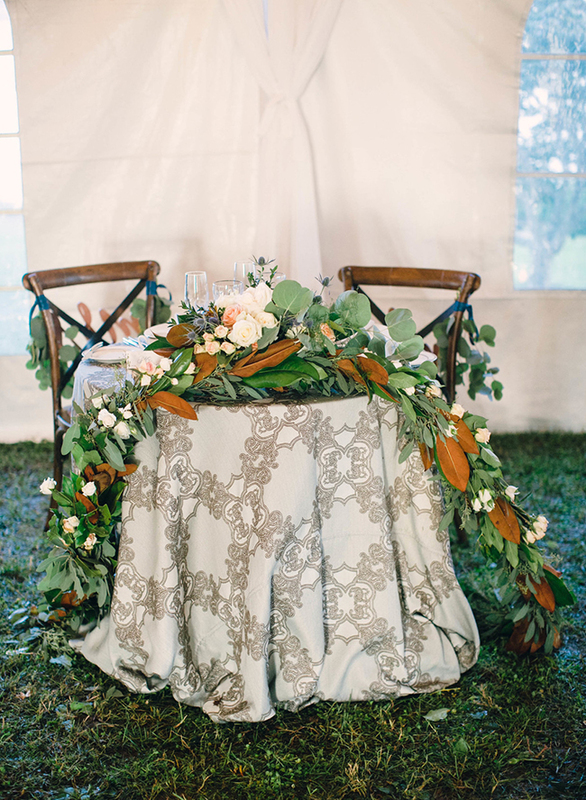 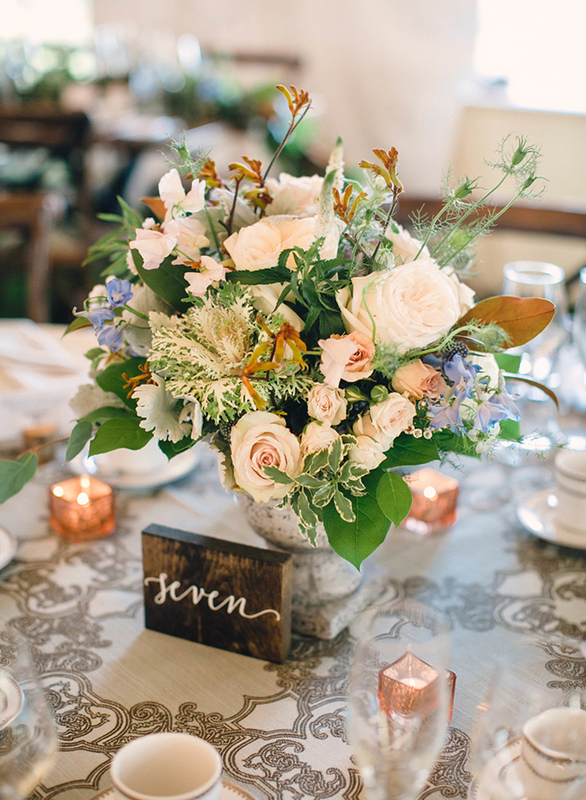 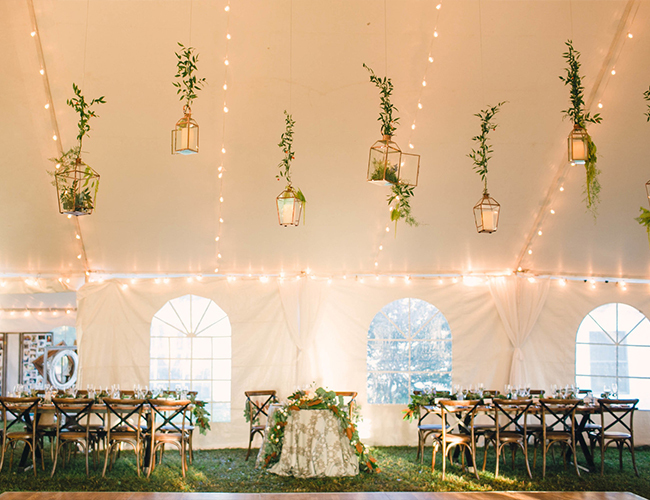 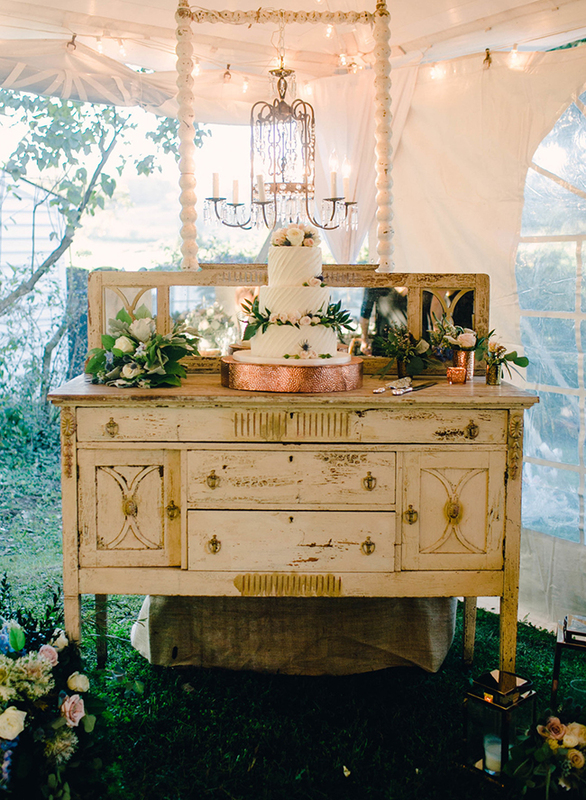 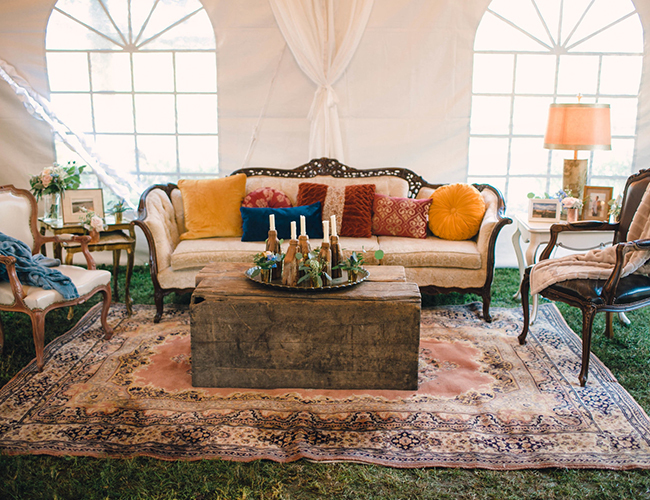 We’re talking greenery everywhere, deep gold details, blue accents, and the quintessential rustic setting. 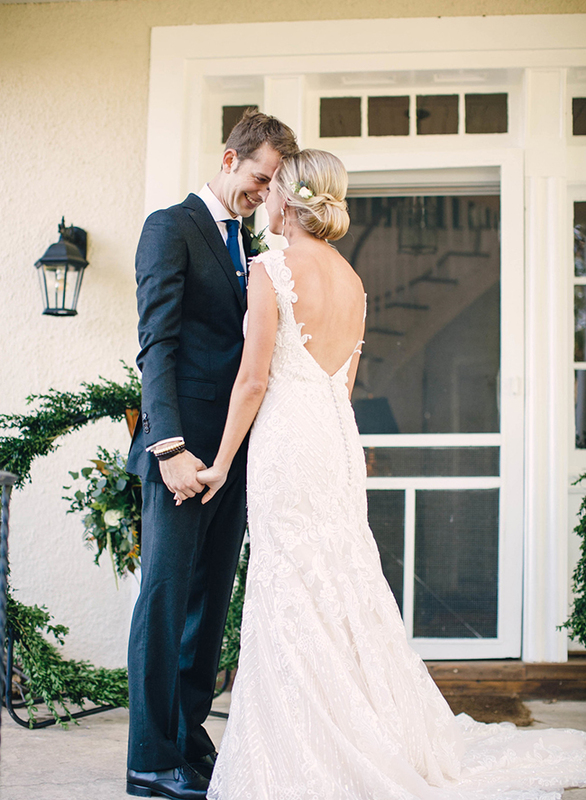 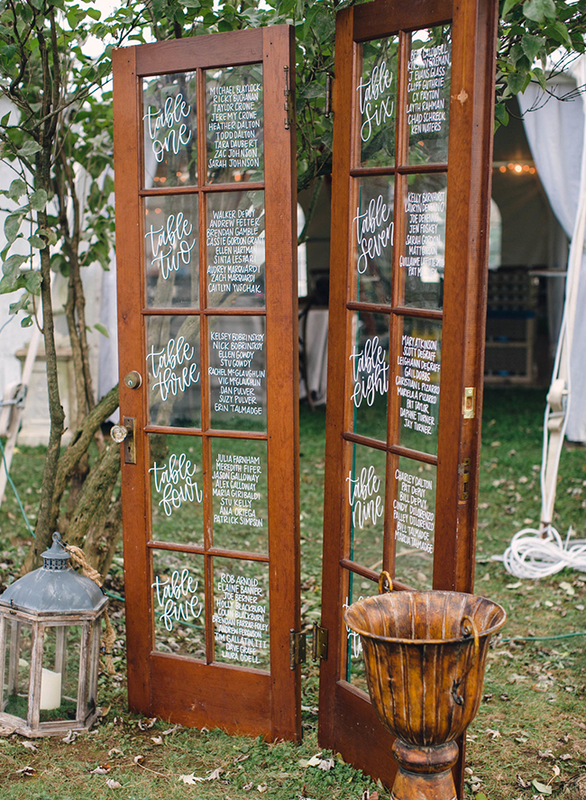 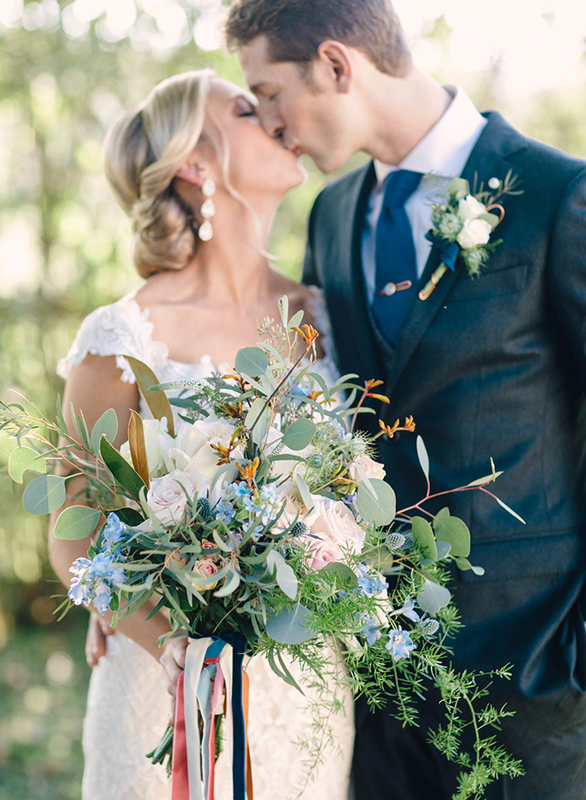 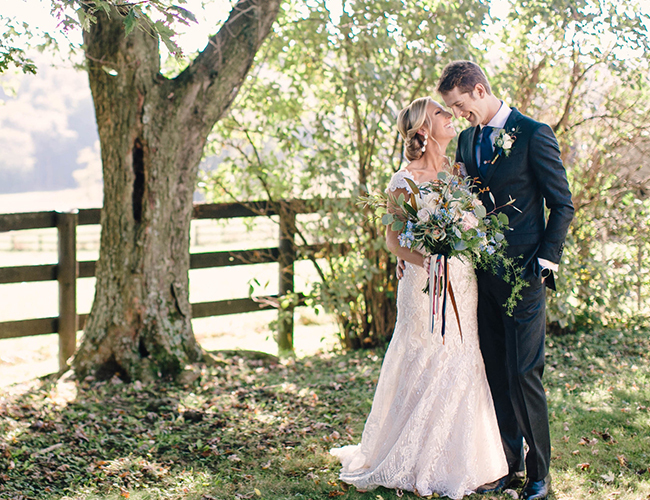 Read on for all the details from this fall wedding! 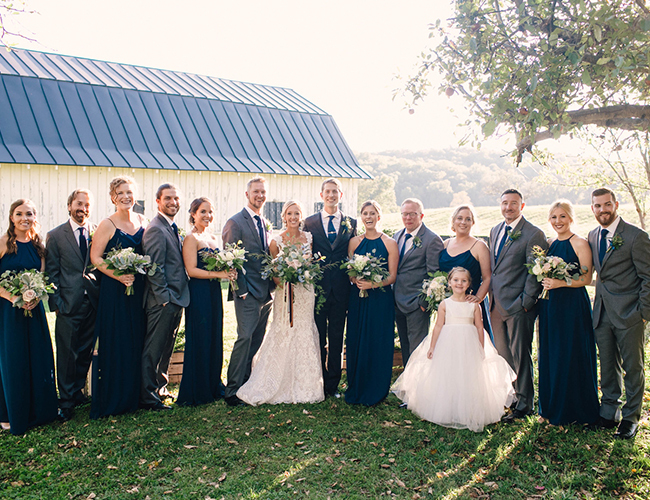 Photography, Kristen Gardner says, Cameron and Justin decided to hold their wedding at Highfield Farm, an estate owned by Cameron’s family. 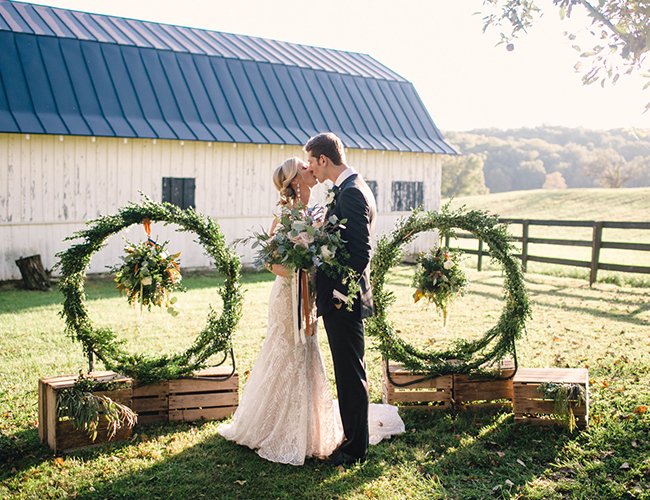 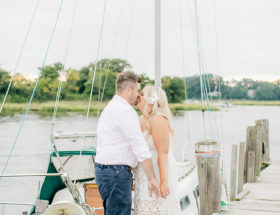 The setting was gorgeous and perfect for their outdoor, fall ceremony! 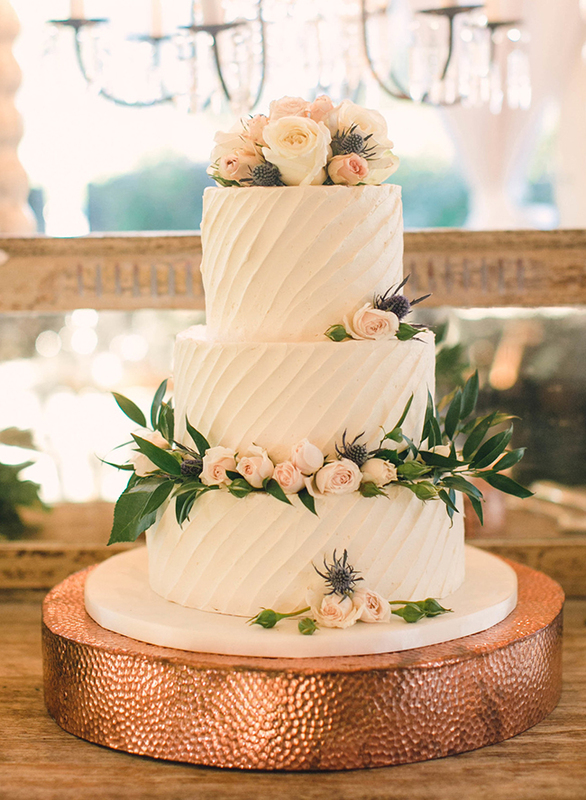 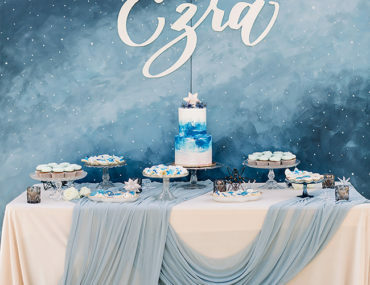 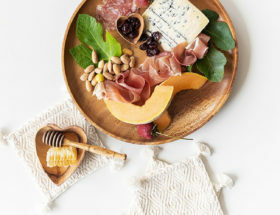 These two had a different take on the traditional fall palette, and the result was classic and gorgeous. 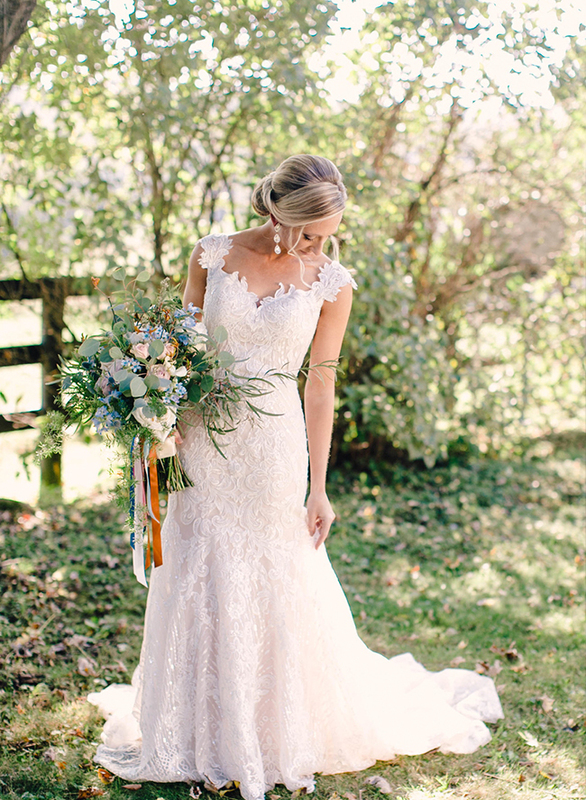 They highlighted the fall season by having guests toss colorful leaves after they said “I do”! 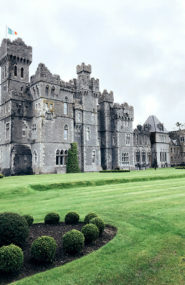 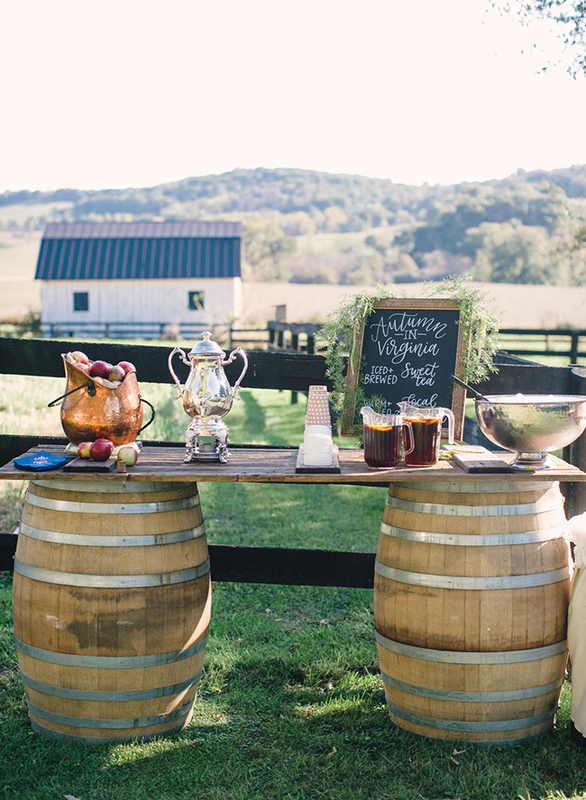 During the cocktail hour, guests enjoyed bluegrass music, lawn games, and the sunset over the mountains. 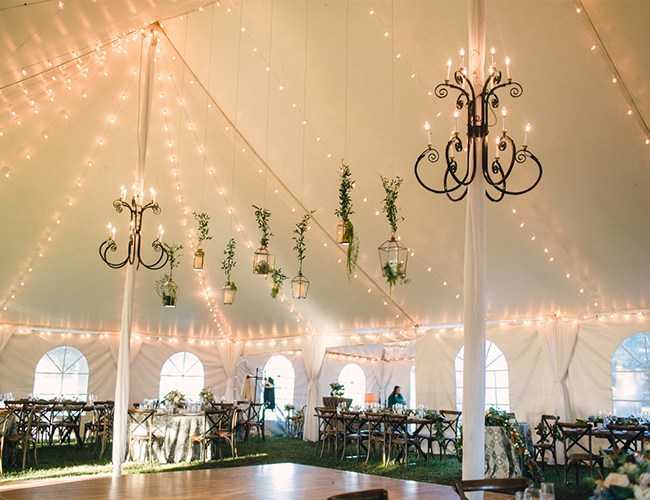 The cozy, tented reception greeted guests with a variety of gorgeous florals and hanging lanterns over the dance floor. 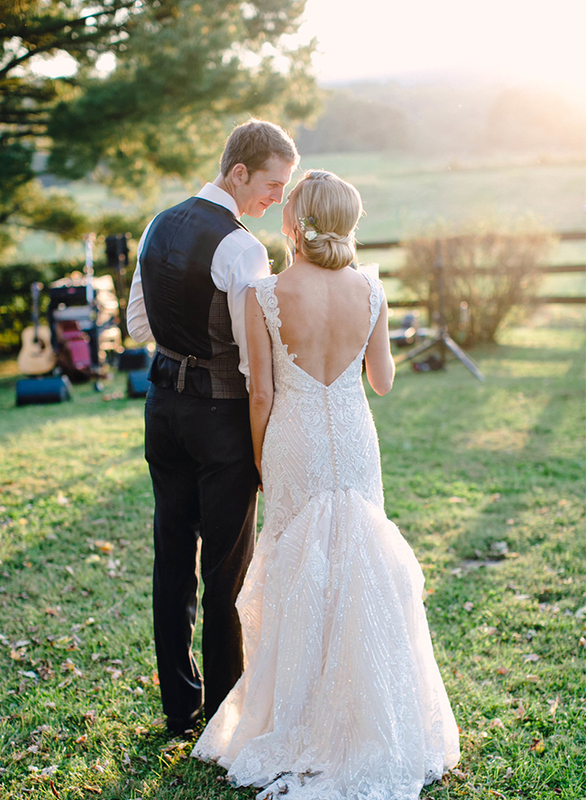 I could not have asked for a sweeter couple to highlight the gorgeous fall season in Virginia! 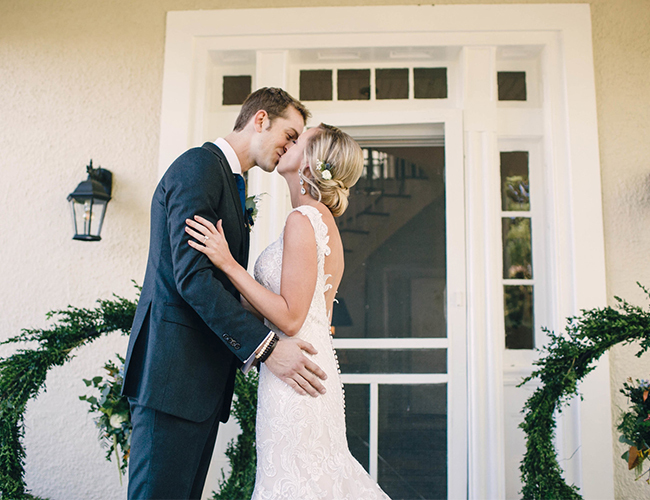 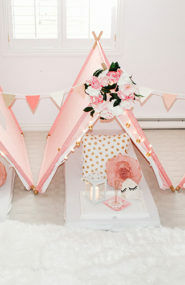 Every detail was thoughtfully executed, and Cameron and Justin were so much fun. 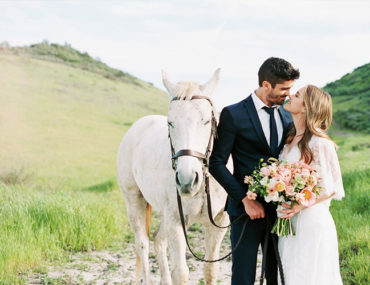 I loved every minute of their wedding day! 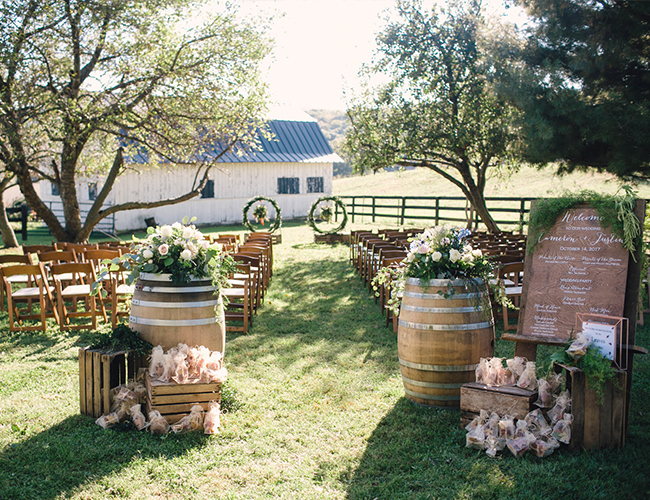 This is a dream farm wedding!